We couldn’t be happier to have worked with David. He is truly a master of his craft. After several years of searching and looking at over a dozen houses (he’s very patient! 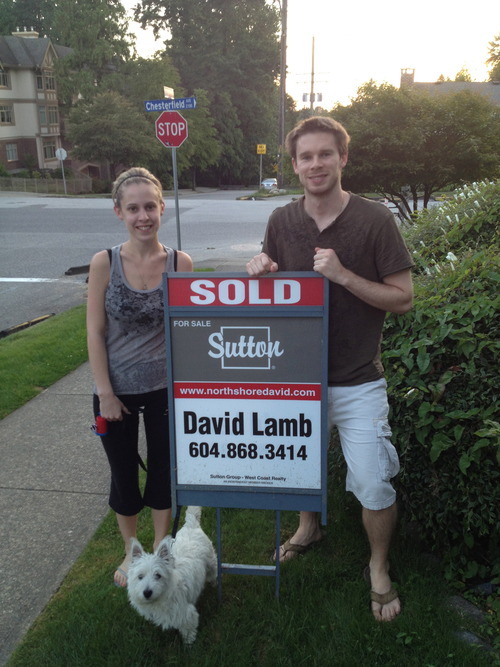 ), David helped us purchase a new home that we are really excited about and negotiated a price that we were happy with. He subsequently sold our house within days of listing and we got exactly what we wanted - which was a great price and zero stress. David is highly knowledgeable of the local market, honest, detail-oriented, and extremely personable…but what we loved most about him is that he cares deeply about this clients and always has their best interest at heart. We felt 100% comfortable knowing we could trust him. It was truly a pleasure to work with him. Thanks again David! We really believe we couldn’t have done this without you. 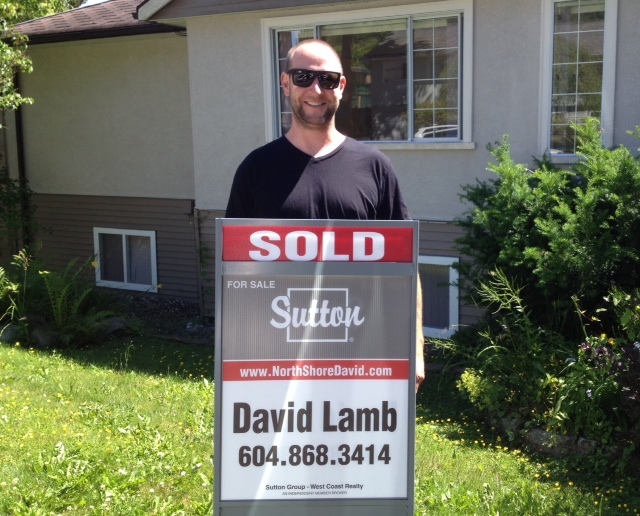 David is truly the most sincere, genuine and passionate realtor that exists! With the patience of a saint and a true invested interest in your wishes, he will do what it takes for you to find your dream home! We feel very fortunate to have had David as our realtor, he spent the time to really get to know us and exactly what it was were were looking for. He was always honest, thorough and insightful. Such a fantastic person that had our absolute best interests at heart. If it wasn't for David, we wouldn't be in our dream home! Thank you David! You have been fantastic, and for a cynical couple-dubious of realtors...you won us over right at the start and definitely changed our way of thinking forever! 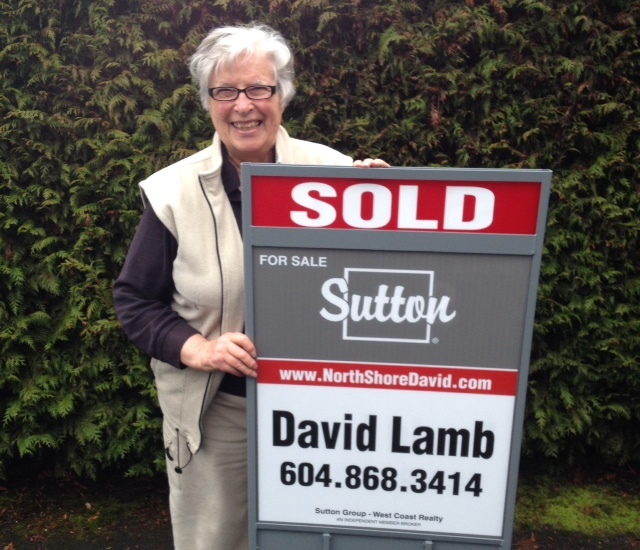 When it came the time to find a real estate person to sell my house I was so fortunate to ask David Lamb. David is the type of real estate person one is delighted to meet. He is professional, trustworthy, detailed, committed, and excellent at his job. 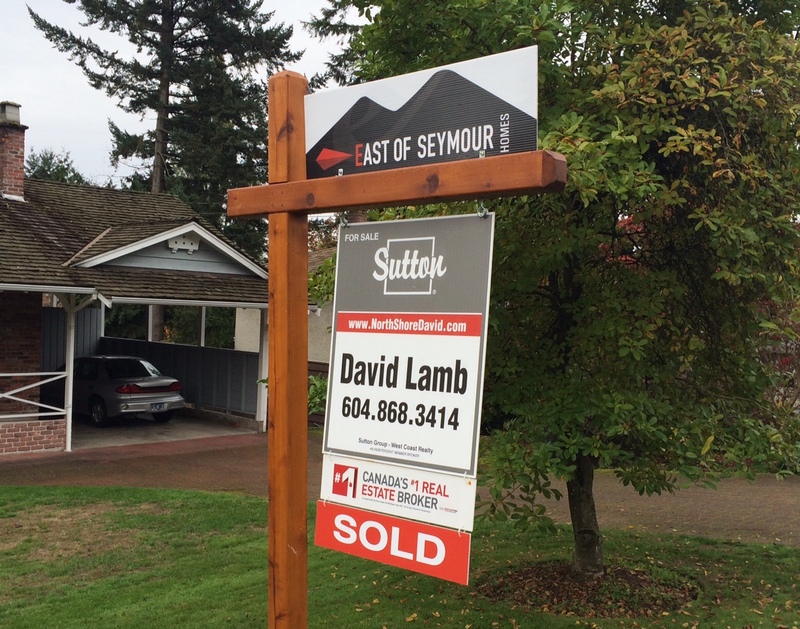 Do I recommend David Lamb? Yes...without reservation. 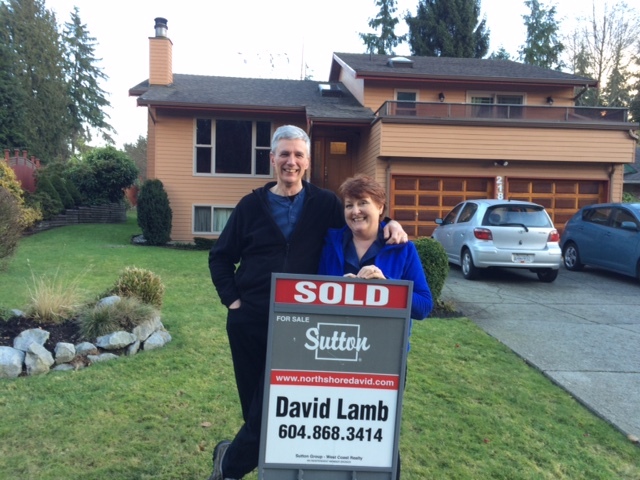 When it came time to consider selling our home, we were very lucky to hear of David Lamb from some close friends. 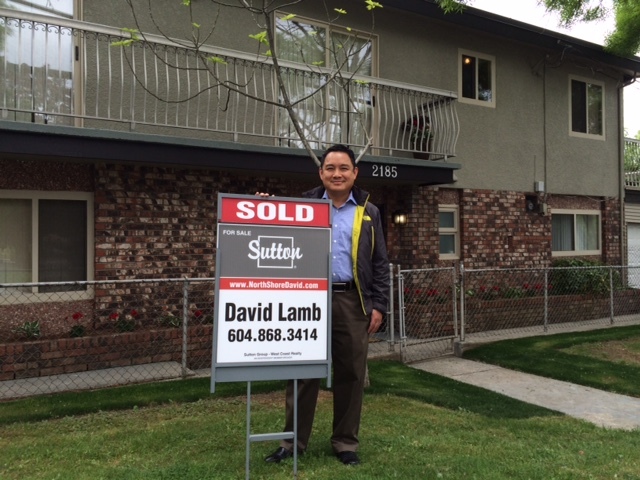 David has been an amazing realtor to work with. He is very forthright, detail oriented and offers excellent advice. David works incredibly hard and always had our best interest front and centre. We would definitely recommend him to anyone requiring the services of a realtor. Well that didn't take long! We're so happy that a young couple was so excited to buy our house and we know they'll be a great fit to Nicolum Court! We are SO sad to leave but we leave with such amazing memories, knowing we have continued friendships & shenanigans ahead. Thanks to those who helped us raise our children. 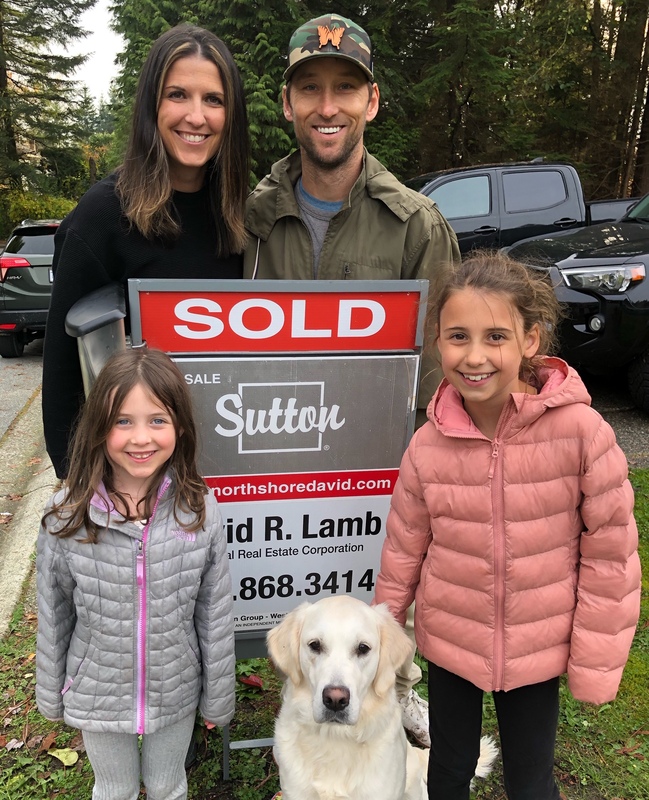 Dennis has his happy face on … David R. Lamb thank you for helping us buy our new home on Belloc and selling Nicolum Court, with tears of happiness & sadness. You rock. David was a referral to us through some good friends, this, along with his incredible knowledge of our local area gave us the confidence he would help us with our next big move as a family. Throughout the whole process of selling our home, we always felt like we were in the best possible hands – David has an amazing tendency to protect his clients which we loved, as we knew if he would be very honest with us on all aspects of selling and buying process. Our house was sold within a week, this was due to the price being bang on, his contacts and his marketing, we couldn’t have been better positioned to get the perfect buyers for our town home. To top it off the next day we put an offer on another house, and again David secured us the best possible price. 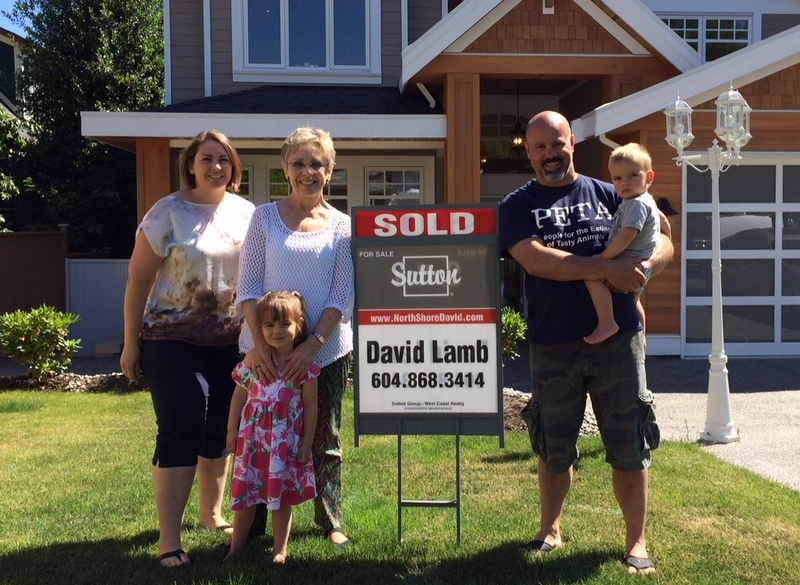 Thank you David for everything – you have helped us secure our perfect family home – we will always be so grateful for that! 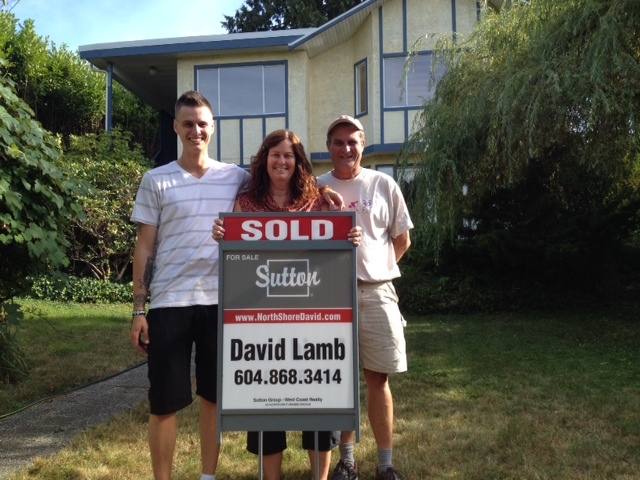 ~ Kat & Markus K.
"It was a pleasure working with David on selling my property. I chose David to act on my behalf as I found him trustworthy. David was Frank and provided me with the best advise. I found him very professional in both dealings with me and my tenant. 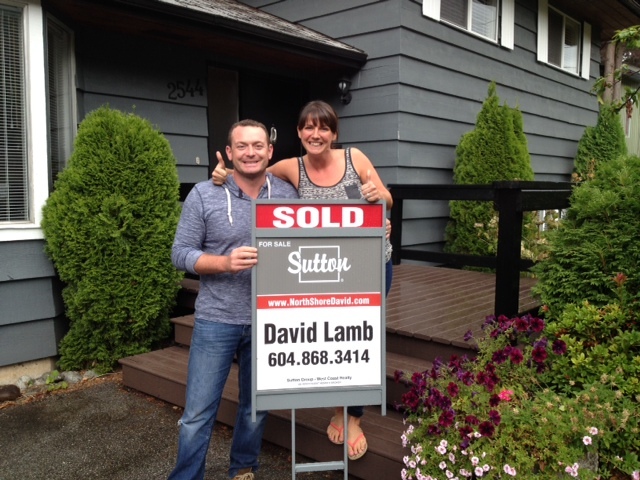 Selling a home is a difficult process and David made it easy and stress free for me. I would definitely use David again in my future dealings and will not hesitate to recommend him to my friends and family"
Al and I have known David for almost 16 years. 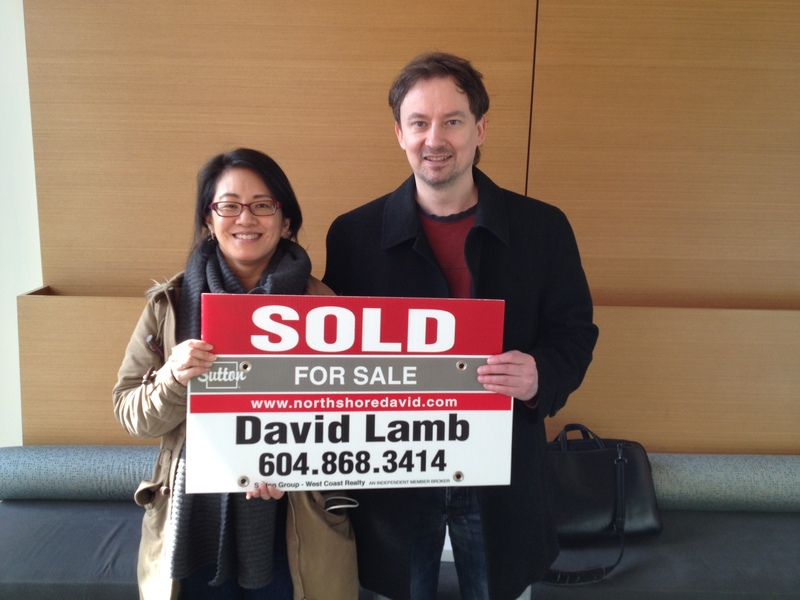 David is a fabulous real estate agent and worked tirelessly on our behalf. Our sale was completed within the week. He was present at all the open houses and private showings of our home. He is a true professional in the real estate world. He was friendly and helpful with potential buyers and other real estate agents. His excellent advice helped us work our way through this exciting time. 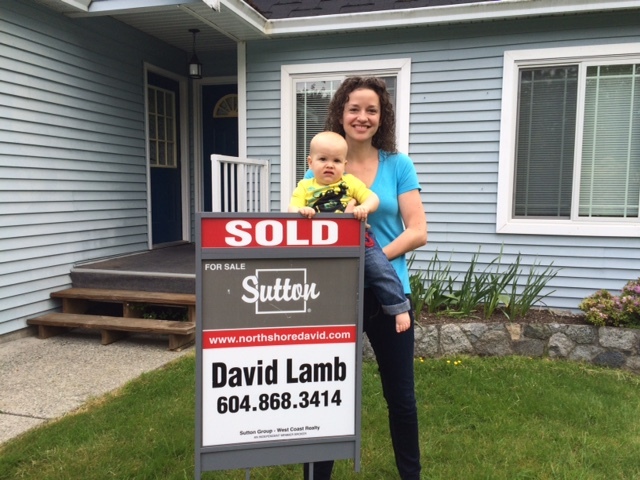 We are thrilled to have sold our home through him and look forward to the next chapter of our lives. We would highly recommend David's services. Our home is sold. We had many happy years in this home. 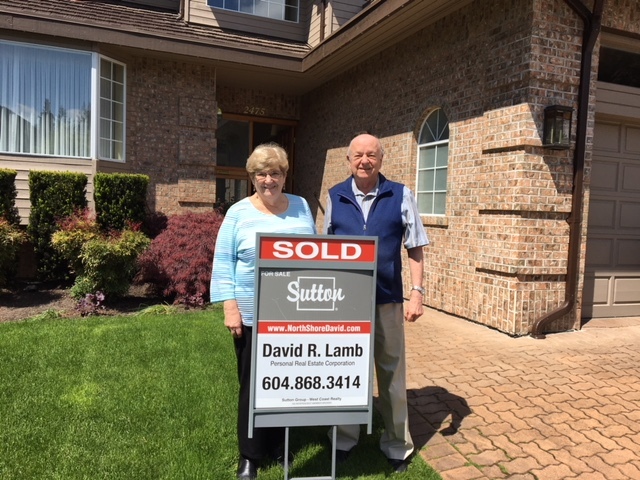 And our realtor David Lamb sold it for us ... he did a fantastic job and we can highly recommend David if you are planning to sell your home! We initially met David at an open house earlier in the year and remembered him being very approachable and welcoming. 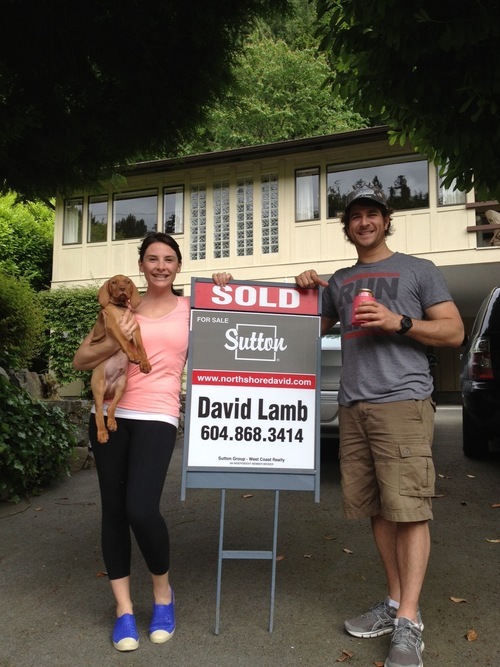 When we decided to list our house we immediately thought of David and approached him to be our realtor. From our first meeting David showed an obvious passion for his work, he was open and honest and worked tirelessly with great attention to detail to get the best deal for us, both in our sale and our purchase. He showed amazing patience whilst skilfully guiding us through the negotiations on the sale of our townhouse. He then used his knowledge of the local area along with his negotiation skills to secure us a detached house, in our preferred neighbourhood, in a very demanding market! We would not hesitate to recommend David to friends or family. He has a natural way with people and works with passion in an honest and open manner. It was a pleasure doing business with him. ~ Dianne & Martin C.
One of the best ways I know to thank David Lamb for his service is to say what a wonderful experience it was working with him. He was very encouraging, listened well, considerate of my schedule when showing the condo, informed me of all that was involved in the process and is very experienced to the movements of the market. He sold the property within two weeks! 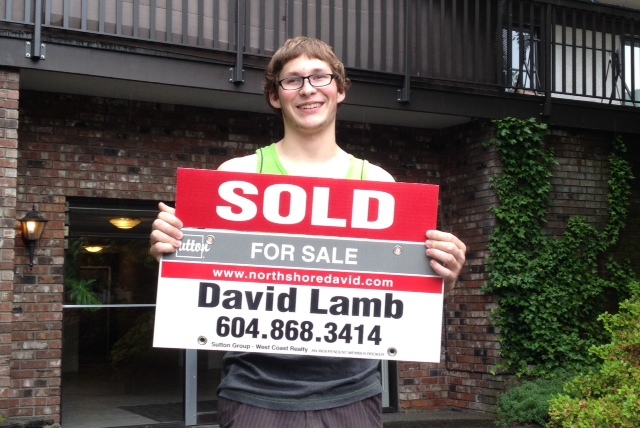 I would definitely recommend David Lamb to anyone needing to sell property. Thanks David. Sister Marianne and the Franciscan Sisters of Atonement. 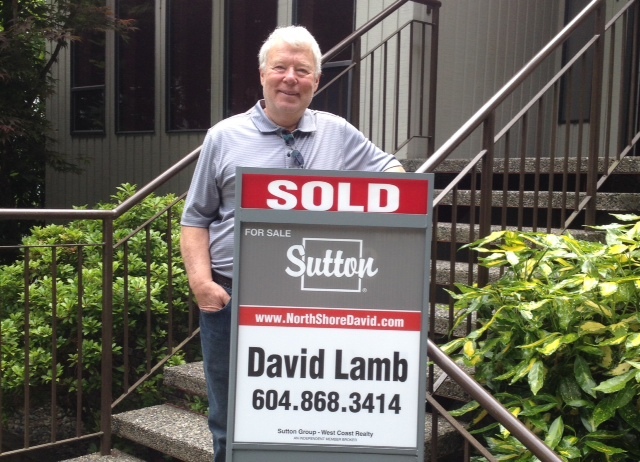 I feel fortunate to have had David Lamb as my realtor. He always acted as though finding a property for me was important to him. He's patient, hard-working, organized, punctual and courteous. He deserves top marks for his customer service. 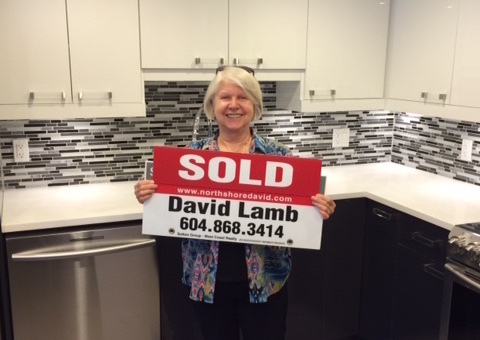 I would have given up looking for a condo more than once but David gave me the space I needed and kept in touch without applying any pressure. 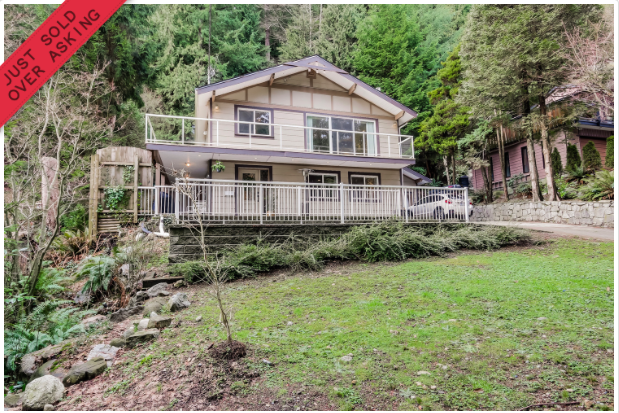 He has the sales experience and negotiating skills that give him an advantage in the competitive Vancouver real estate market. He guided me through the whole process of making a purchase and attending to all the details that come with it. It was a pleasure to work with him and I recommend him highly. 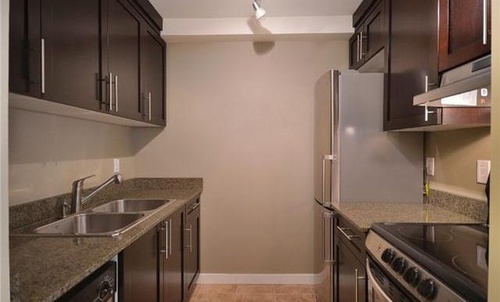 My new condo is all I hoped for. Thank you, David! 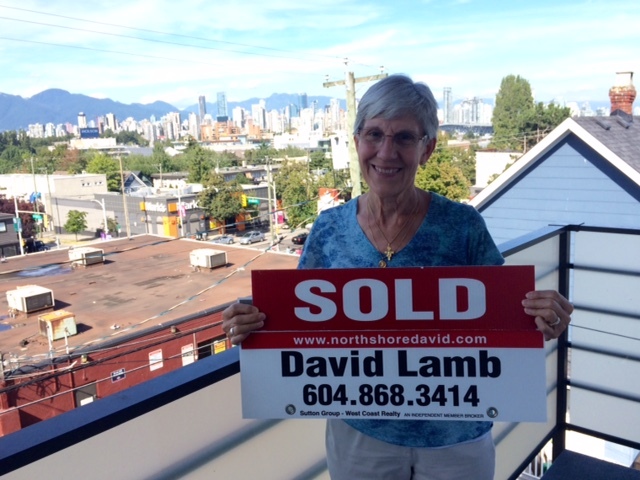 I cannot say enough positive things about my real estate experience with David Lamb. I initially contacted him to help sell my home under a unique set of circumstance. David rose to the occasion and went above and beyond the call of duty to get the job done. 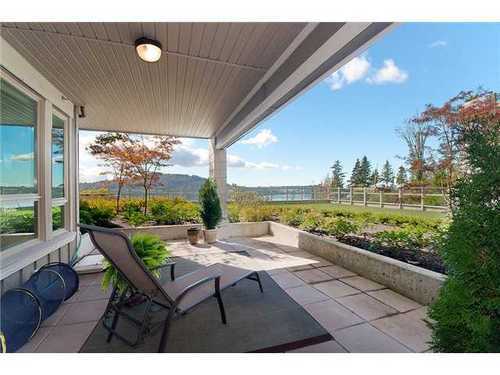 He successfully coached me through a bidding war on my home which left me with a selling price above the asking figure. At the time, I was unsure if I was going to rent or buy for my next move but David assembled a nice package of condos for me to look act in a very non-pressured way. He seemed to able to anticipate my needs at every step of the way and helped me purchase a condo as well. 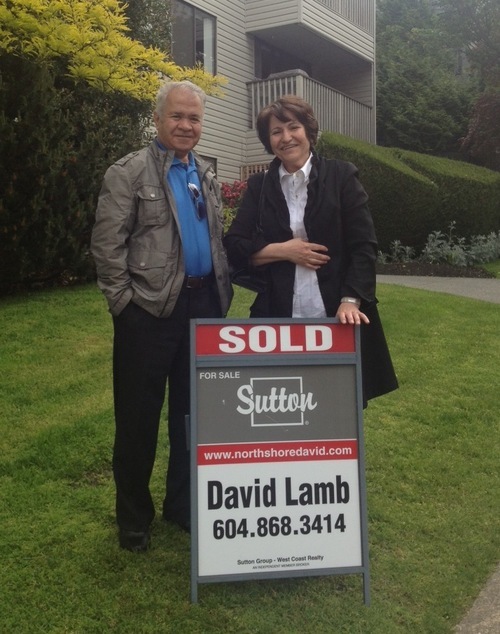 I would highly recommend David as a professional, humorous and dedicated real estate agent. David has been more than amazing to work with…even through all the stops and starts he showed my son and I nothing but patience and sincerity. He made us feel welcome to contact him whenever we had a question, with ready answers and a smiling demeanor. David listened to our wants and needs, making our move from Alberta an easy one as he found us – dog, cat and kayaks - the perfect new home. I can’t thank you enough David…for all you’ve done to help me come home! When the stars aligned for us this year, we ended up selling our downtown condo AND purchasing a suburban home to welcome our new puppy. Any major life change is stressful; however, anyone who buys a home and sells a home (plus moving, plus getting a second vehicle, plus getting a new puppy) needs to acknowledge that they need some serious help. While new chapters are very exciting, manoeuvring your primary asset (our home!) can have stark consequences if not managed well and which we needed to feel confident we weren't about to be set backwards as we tried to leap forwards. David was very organized and responded promptly to every email, every phone call and every text message through the entire purchase-sell process. Sounds like common sense, but that isn't common as most professionals let that communication element drop through the cracks. He crafted a careful marketing plan which added to his ongoing calming effect and had a respectable excitement as great results unfolded. David was present at every showing as we sold, present at purchase inspections we couldn't attend, and did little extras like research on our new community to demonstrate his overall respect, competence, reliability and sincerity that I cannot stress is a rare combination in a professional, much less in an individual. This is someone you should and will feel comfortable trusting your nest egg with to get a fair sale and/or fair purchase. We could not be more pleased with how our two transactions went. And now we can focus on running around after our new puppy knowing that things could not have gone better. Thank you David and we definitely sing your praises whenever the topic of real estate comes up. Our experience working with David Lamb has been wonderful. David made the possibility of owning a house a reality and guided us through each step of the process with great knowledge and a highly personable manner. He listened to our wish list and made constructive suggestions on properties we viewed. 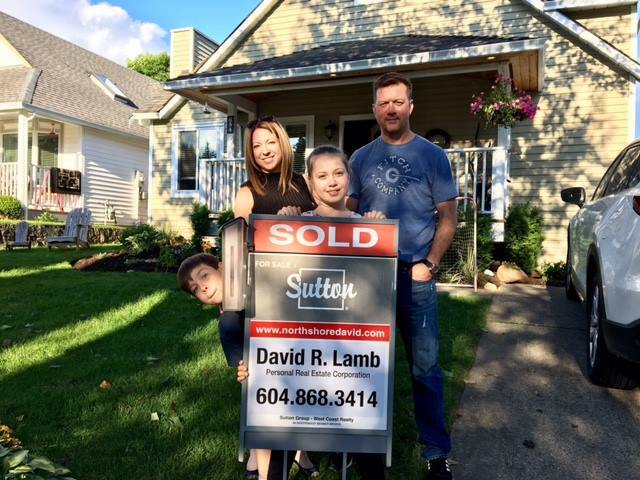 David never wavered in his belief that we would find the right home and was upbeat and encouraging when faced with hurdles beyond our control. 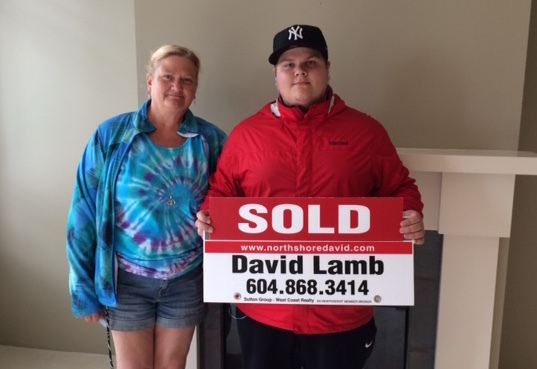 David has a great can-do attitude and unlimited patience which in turn kept us positive and the outcome is a house we are excited about owning. 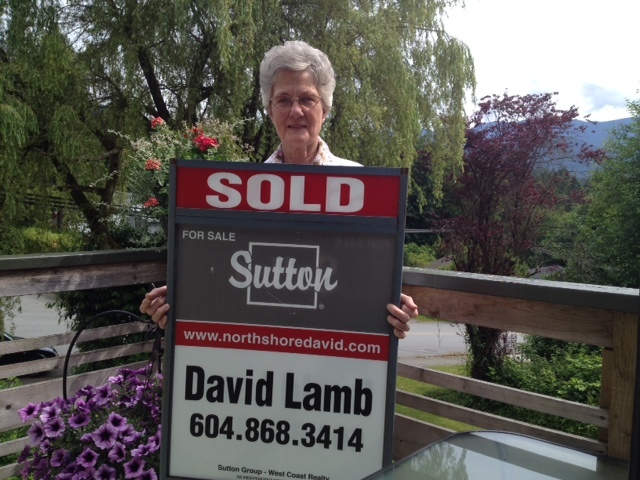 Should we need a realtor in the future we know who to call and will highly recommend David Lamb’s services to others. 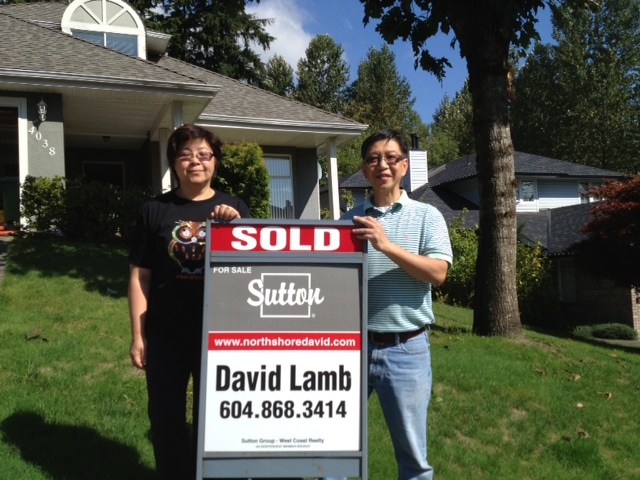 Donna and I would like to thank you for the professional way you handled the sale of our home - in record time!! Even before the sign went up, you gave us a lot of help by arranging the "staging" of our home. The brochure and the video resulted in it being sold very quickly for a price we were happy with. Downsizing is stressful and leaving a place we had built and loved for 30 years was a hard decision. You helped us manage the experience with a good sense of humor and eased us along very creatively!! Thanks again - we will happily recommend you. Dear David Thank you so very much for all your assistance, professionalism, patience and diligence these past months in successfully selling my home. It has been a very interesting, enjoyable and satisfactory experience working with you in your professional capacity and there was never any doubt in my mind to have you as my realtor having known you for so many years. Thank you also from my son David and family who appreciate all the help you gave me to make this transition as comfortable as possible. I will certainly recommend you to any friends for that special realtor. Thank you so much for all of your time and effort spent over the last year in helping me with the purchase of my first home. Until this purchase, I had never realized how much information you need to know and learn when purchasing a home - so much more than just the search itself and writing an offer. You patiently taught and explained all the steps of purchasing a house and were always supportive when I felt discouraged. I wrote a number of offers that were not accepted (some which hurt more than others), but you stuck by my side and continued to hone in on my specific wants and needs and after a year-long search, we finally found the perfect home. I am incredibly grateful and will not hesitate to recommend you to anyone who is looking to purchase a home, whether their first or their fifth. Thank you again. David, I wanted to give you my whole-hearted thanks for all your hard work (and patience!) when it came time for me to look for a new home. 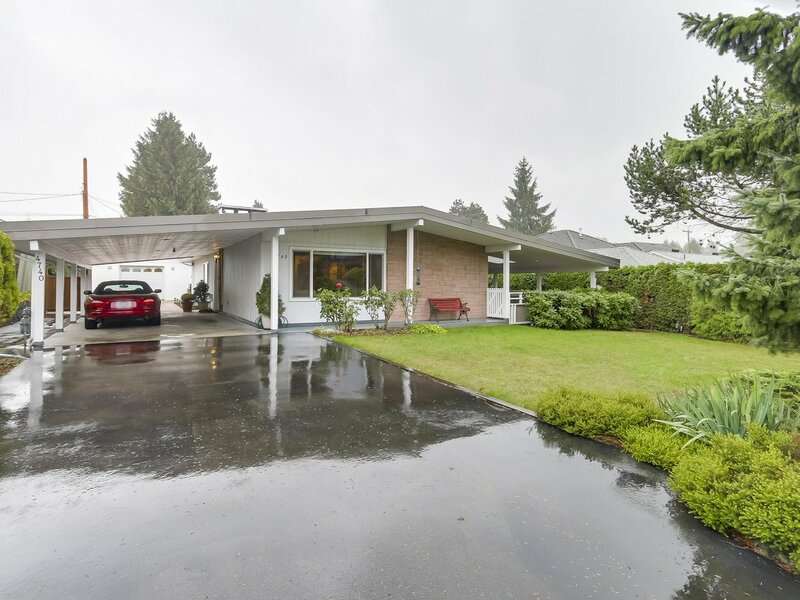 We probably explored every neighbourhood in Burnaby in the search for "just the right place." And we definitely saw some interesting places! 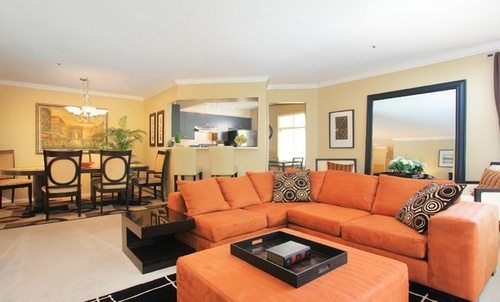 You helped me immensely in narrowing it down to the right location, the right building and finally - the right condo. You always kept me well-informed of the market and the little details that sometimes I would miss. You certainly made it an enjoyable experience throughout and you always gave your honest appraisal of the properties we looked at. And when it finally came time to make an offer you worked quickly and diligently to address what few concerns I had. You moved quickly and capably when it came time to negotiating and I appreciate all the effort you put in when it came down to the wire. I would not hesitate to recommend you to anyone buying or selling a home. As a Realtor David is in a class by himself. His many skills include an expertise in marketing and promotion, a full commitment to the job at hand, and strong negotiating skills. He communicated easily with clients while at the same time kept me informed and I felt his support. Working with David was both pleasant and profitable. My townhouse was sold in short order at above market price. I will be forever grateful. 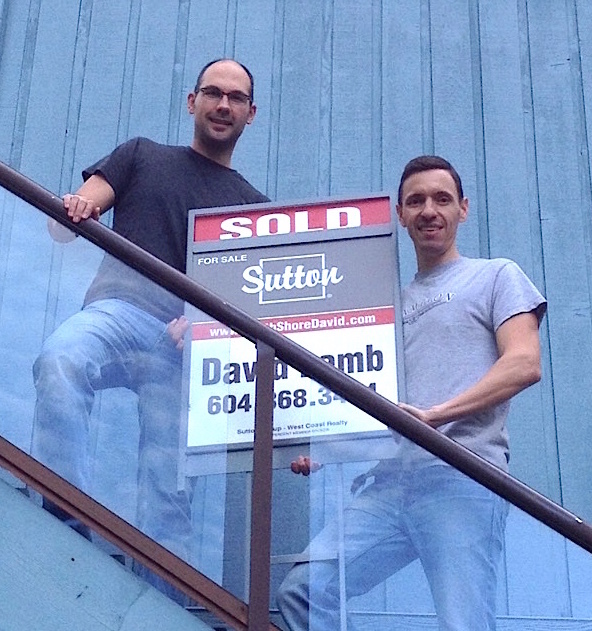 David, Thank you for the great job on the sale of our home. You were knowledgeable about the area and the market, and always kept us informed with up to date information. Besides being professional, you were very helpful and always there to answer the call. Despite it being a tough year for the housing market, you remained very dedicated and motivated. We were impressed that you personally did every open house and showing. You were detail oriented and always thorough with the follow-up. We love your attitude and would highly recommend you to anyone selling or purchasing a home. Thank you again for all your efforts. David Lamb did an excellent job for us. We had fixed ideas about the property we wanted, including size, neighborhood, access to transportation, and price. But these changed as the weeks went by and the market tilted one way then another. David kept track. Better than that, he kept us informed by sending us market statistics and discussing them with us. He searched for us, but also responded enthusiastically when we spotted possibilities. We felt very involved. When we liked something that had hidden defects, he found a tactful way to steer us right. When we disliked something he thought we’d jump at, he absorbed the information and came to anticipate our needs. He was always ready to arrange a viewing, talk price per square foot, whatever, and when it came to negotiating it’s hard to imagine anyone more capable. But always with a smile, a kind word, and knowledge. 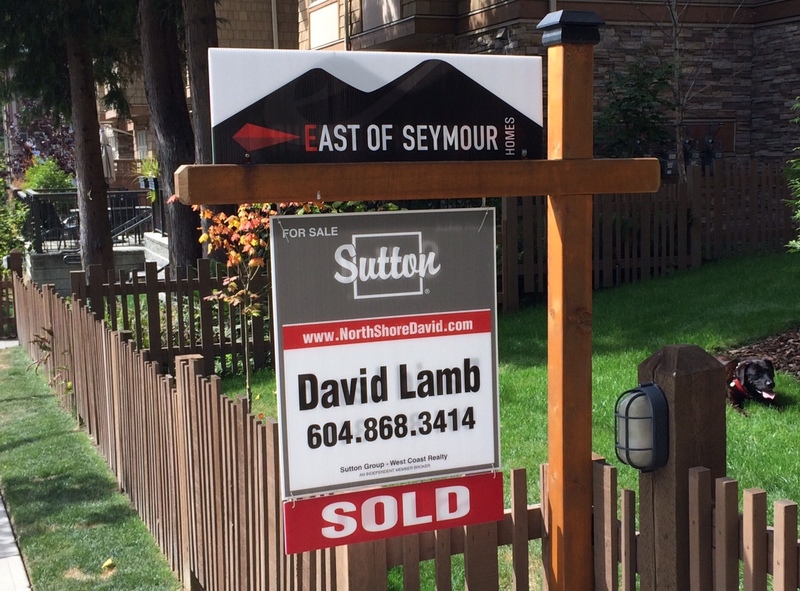 I’d be happy to recommend David Lamb to anyone who wants a realtor. 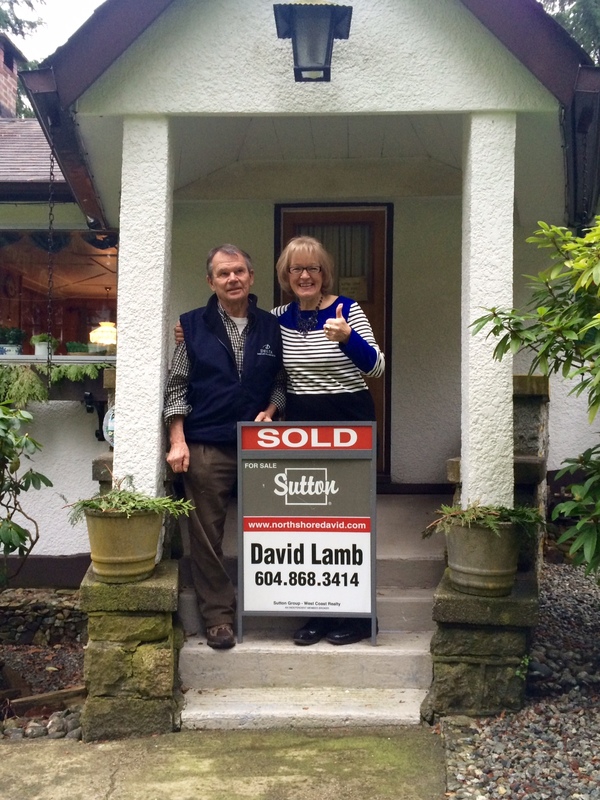 David made our recent house purchase an an enjoyable and successful experience. He is knowledgeable, friendly and professional and was patient during our search. Most importantly, we got a fantastic house at a fantastic price! David took the time to fully understand our needs and worked diligently to help us achieve them. I recommend his services without hesitation and will be using him for my next real estate transaction. "I want to say David is a smart, creative, hardworking, reliable and most fun realtor I have seen, but then it still doesn't describe what a nice and easy experience it was to work with him! So just try him for yourself for less than 30 days (cause that's all it takes him to finish the job perfectly!) and I will guarantee your 100% satisfaction. If not I take the blames! 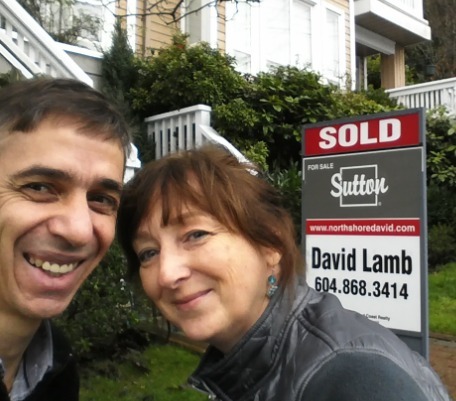 Safieh and Javad, [email protected]"
~ Safieh V. & Javad Rahnamay Hayati H.
When we decided to move back to Vancouver from Calgary, finding the right house in a very different real estate market than what we were used to was a stressing thing to consider. After looking around for a bit on our own and meeting with a few realtors that just didn't seem up to the task, one of my long time friends mentioned he could recommend a great realtor. After a wonderful first meet with David over coffee, it was immediately apparent to us that David would be our realtor (if he accepted to take on the challenge of us and our numerous qualifications necessary on the house we were looking for). Obviously, David took on the challenge and was absolutely awesome. David was always honest about everything we talked about and we always felt he was truly someone you could trust. We always felt very comfortable in every dealing or meeting we had. Bottom line is David came through with flying colours and we are very happy with our new home and wouldn't hesitate in giving David a personal recommendation to anyone. ~ Phil & Brooke R.
~ Stephen P. & Laurie G.
Working with David was an entirely positive experience from start to finish. I felt like he genuinely had our best interests at heart and never pressured us into making any decision that did not truly feel right. He conducts his business with unparalleled service and ethics. David has a wealth of knowledge on the North Shore to share with his clients and what he didn’t know, he was very happy to research. He had an exceptional amount of time and patience to promptly answer our calls (and many texts) with humour, thoughtfulness and expertise. Nothing was too much trouble – not even spending a few hours at the local bank branch on behalf of my husband who was out of town! 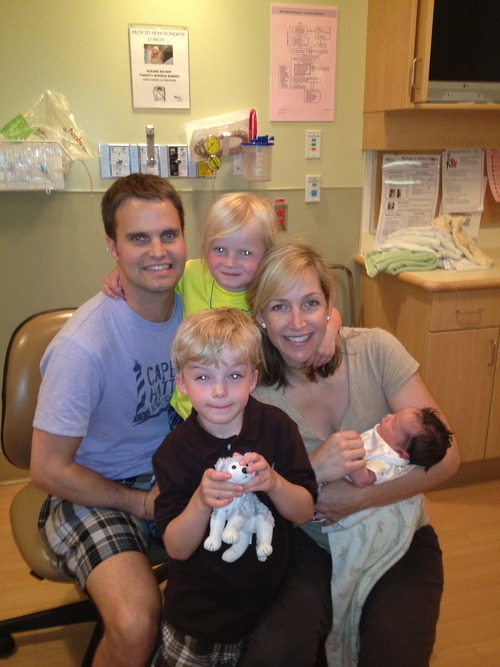 I am confident that we made the right choice of realtor and the right choice of house for our growing family. 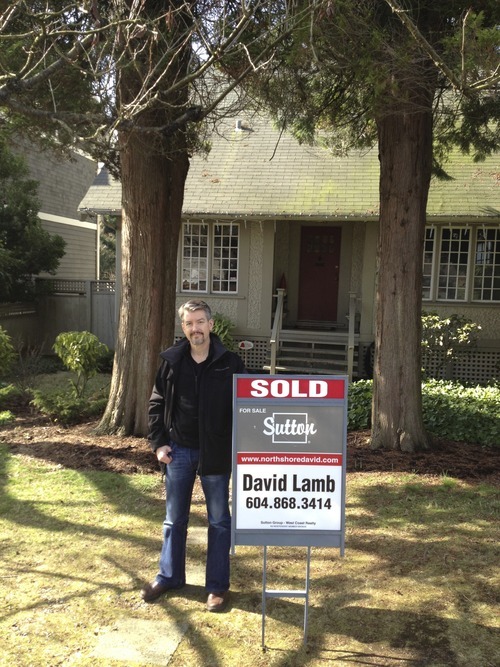 I would happily tell anyone looking for a realtor to work with David Lamb. ~ Stephanie F. & Darrell R.
I recently entered the real estate world with little knowledge and a lot of trepidation. I stumbled upon my dream apartment the summer of 2011, and happened to meet David Lamb, of the Sutton Group, on the same Sunday afternoon. Right from the beginning of the process David provided me an abundance of his time, knowledge and patience. Throughout the course of when I first looked at my unit to when I moved in, David was on my side and invested a lot in the process. 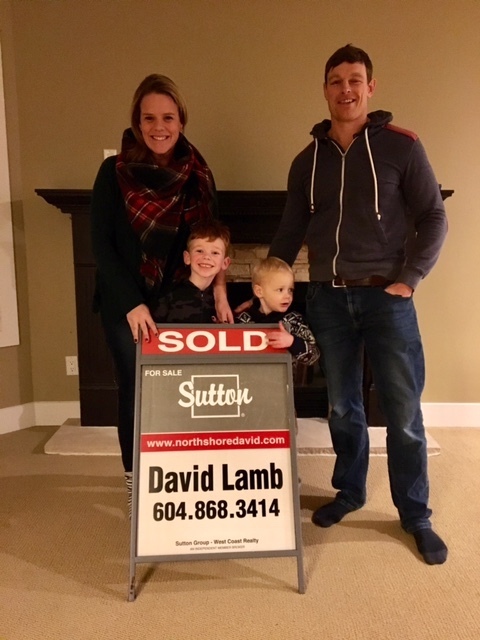 I would absolutely recommend to any first-time-homebuyer the services of David Lamb, and I already have to many of my friends! He provided me the peace-of-mind that I needed during a very exciting, new and stressful experience. Thanks David!